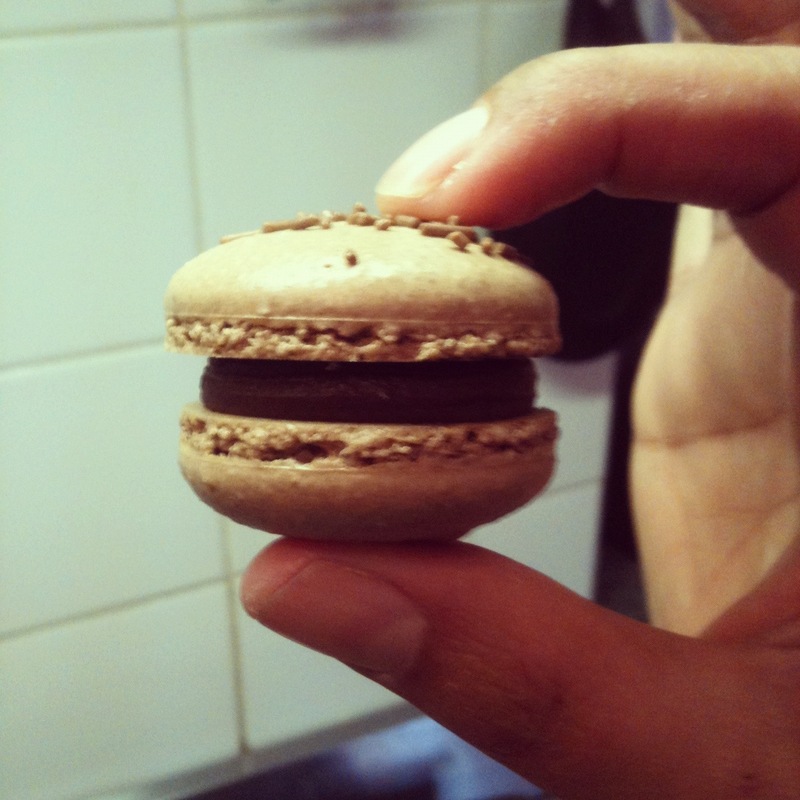 I’ve been baking and trying to perfect my macaron baking for about two years now. My shells always came out under-baked (increasing cooking time did not help) and gritty-looking (although always yummy!). But no more gritty-looking shells for me. I finally invested in a sifter. Nothing fancy, simply a £4 one from Amazon. 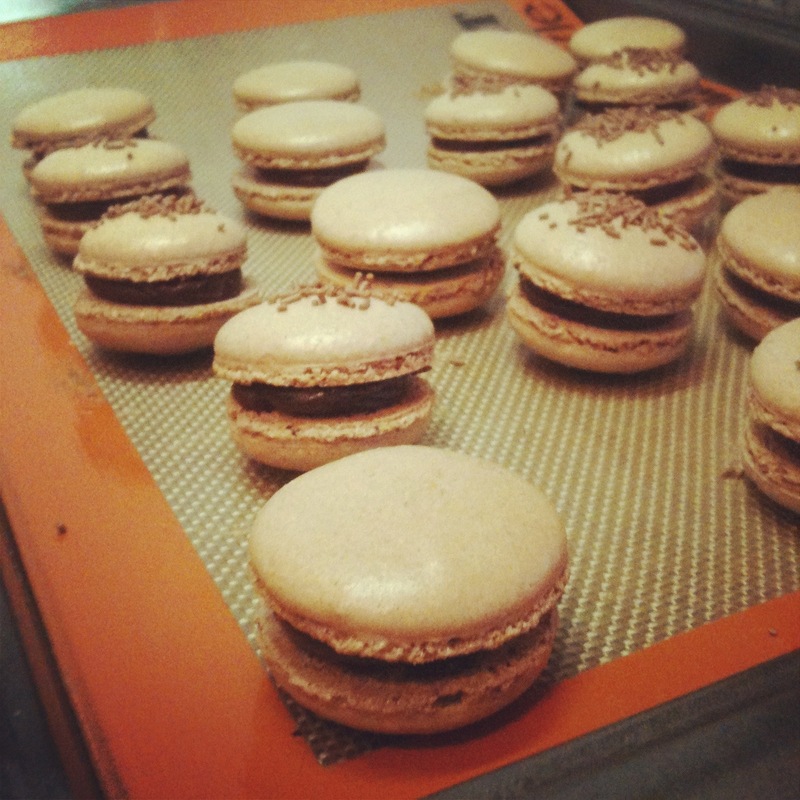 I have been sifting the dry ingredients and getting the perfect macaron results: shiny tops and pretty feet*. 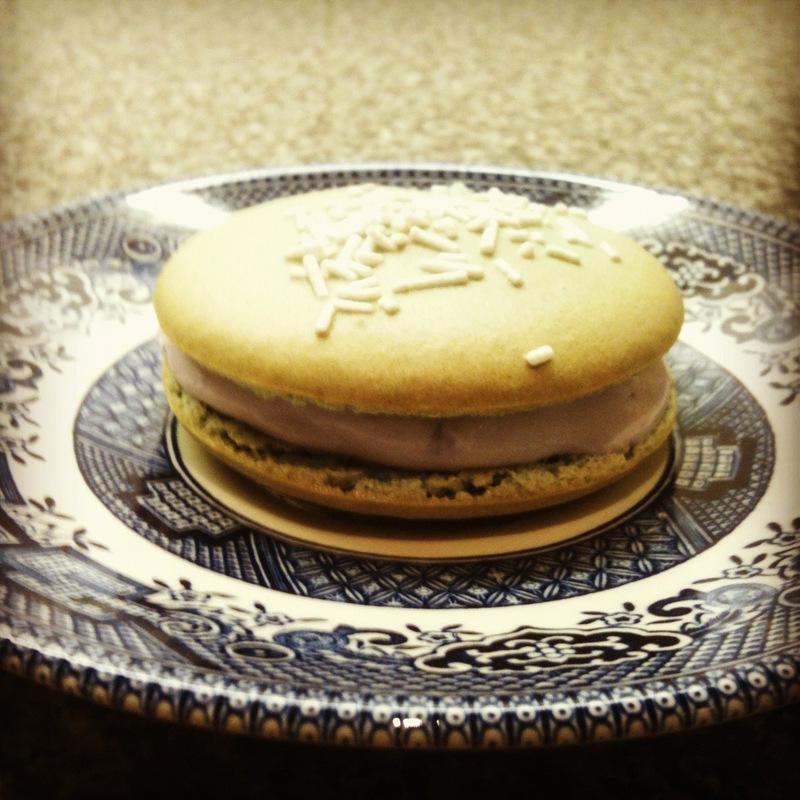 The top two are blueberry cheesecake macarons. The rest are a classic chocolate ganache. 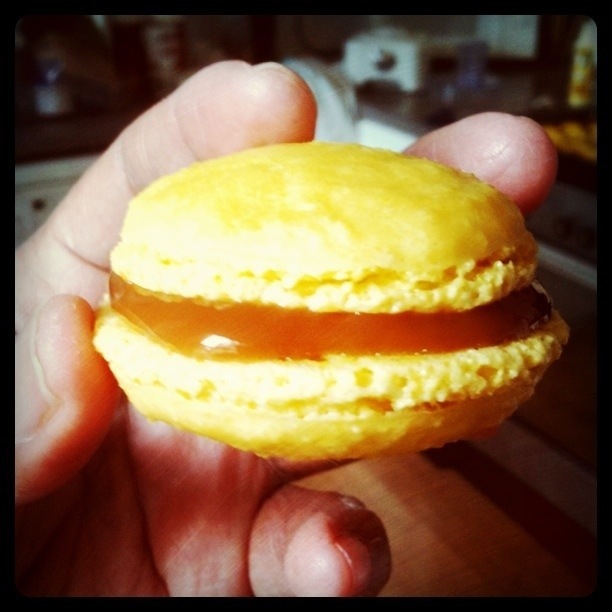 Looking forward to experimenting and hopefully making the perfect salted caramel macaron. Although, I’m not against hopping on the train to Paris to get real deal. *For pretty feet you must must must age the egg whites. If not you end up with a flatter, no feet shell. Trust me, I’ve experimented with fresh ones. 29 Feb	This entry was published on 29/02/2012 at 5:39 AM. 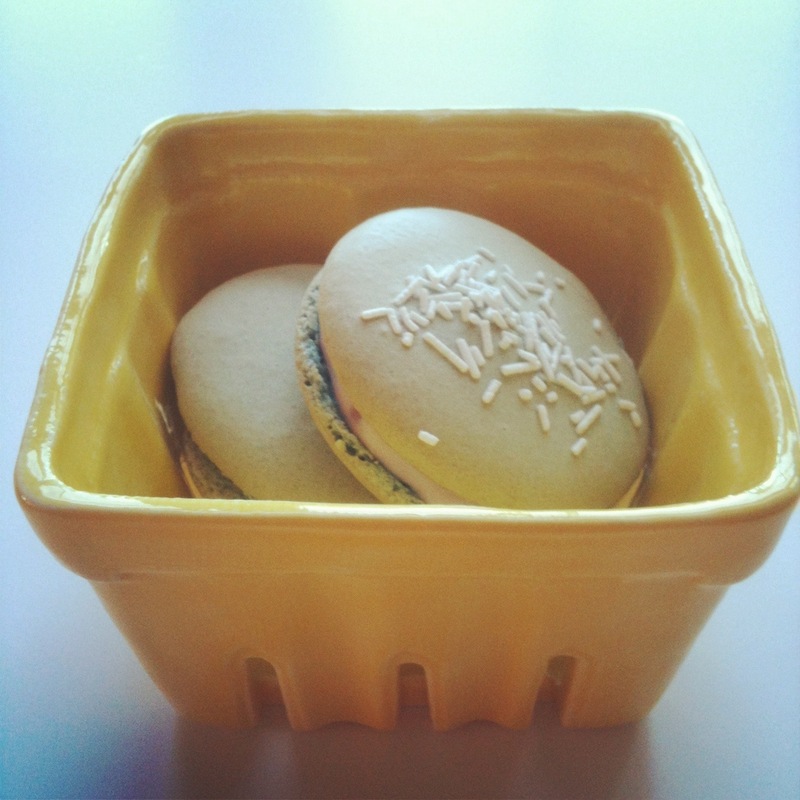 It’s filed under baking, food, life, London and tagged baking, baking tip, French macaron, Instagram, macaroons, photography, photos, test baking. Bookmark the permalink. Follow any comments here with the RSS feed for this post. I’m sure I’m not the only person who’d LOVE a tutorial about how to create these! THey’re gorgeous!! My friend will be visiting later in March and I was planning on making them with her. I’ll write up and post a tutorial then! oooh. exciting! I’ll look forward to it. I agree with the tutorial sentiment – will be anxiously waiting for March! I’d love to know your recipe! And can you explain about ageing the egg whites? I’m totally new to french macarons but would love to have a go! Aging, or drying, the egg whites is when you set aside the egg whites in a slightly covered container for one or two days in the fridge. 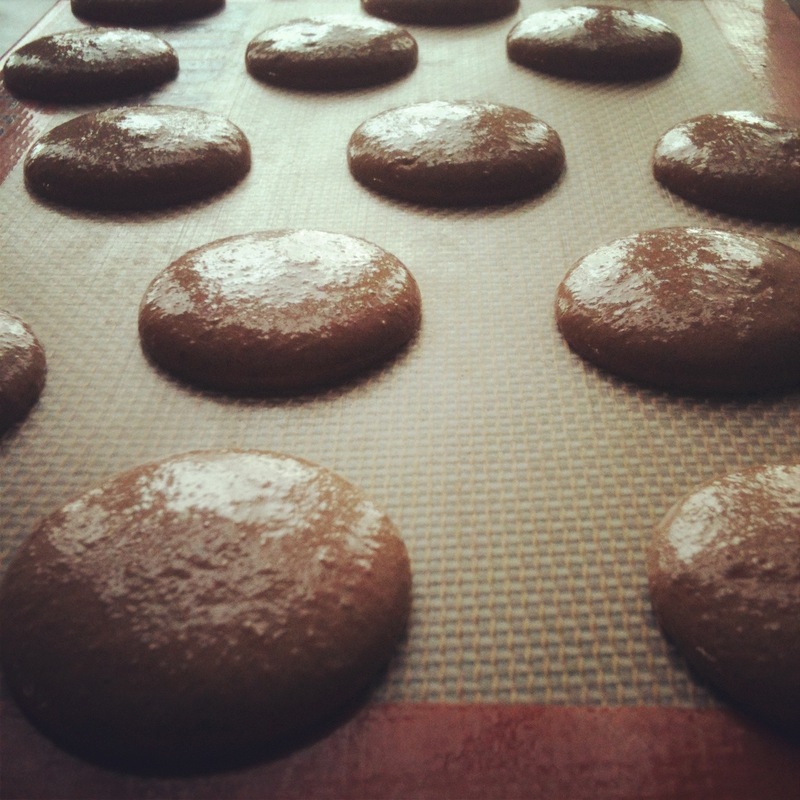 That allows some of the moisture to evaporate, which is crucial to produce the perfect macaron shell. Another method some people use is to microwave the egg whites for a few seconds. I don’t do this in fear that I’ll end up cooking them. Sorry it’s the mobile website. Salted caramel! Chocolate ganache!!!!! What I wouldn’t give to hop on a train to Paris! Too bad it’s a trans-Atlantic flight away! I must admit that one of the best perks of living in London is the travel opportunities to the rest of Europe. I’ll miss than once we move. Amazing! Those look gorgeous. Thanks so much for the tips! Any time. I live making and eating those cute things. Ack! My Internet is down so blogging has been quite difficult. I’ll have to answer these once I am up and running again. No worries, I saw on fb you say you were having issues. I don’t even expect most people to do it but cool if you are, take your time. Wow. Those look amazing Mela! They look worthy of a recipe book or foodie magazine. I’m really impressed. I so want to cook like this – some day.